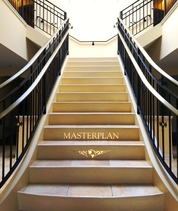 Masterplan, Inc. was founded in 1991 as a global meeting and event management company specializing in the corporate luxury market. Having produced thousands of meetings and events around the world, Masterplan, Inc. evolved to provide consulting services to hospitality industry businesses seeking to create group spaces and offer services that achieve maximum group revenue. Our clients include hotel developers and brands,architecture firms, hospitality management companies and venues desiring expertise on the design and functionality of group space for meetings, events and functions.